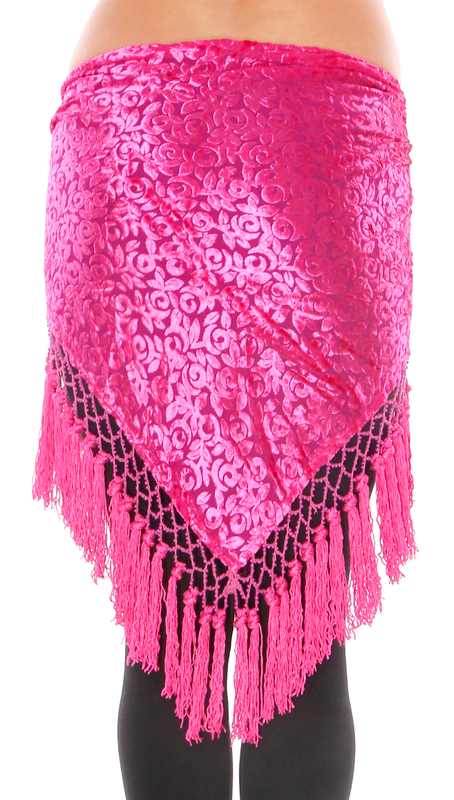 This beautiful burnout velvet hipscarf shawl features elegant art nouveau design, glass beads, tassels, and satin ties with beads and tassels. A wonderful piece for layering or to wear by itself with any cabaret, "tribaret," ATS, or tribal fusion costume. Also makes a fun accent piece for weekend party wear! Excellently made. Gorgeous color. And fast delivery. I wish it was longer though.